The CDE-178BT is the top-of-the-line of our Head Unit range that combines all the cool new features and functions such as TuneIt compatibility for iPhone and Android based phones, allowing full sound tuning and sharing via your phone, as well as new Facebook message alerts. It is also compatible with the vTuner for Alpine iPhone app, giving you thousands of internet radio stations with control from your Head Unit. BassEngine Pro means top quality sound with a 24-Bit DAC and the high resolution display ensures best visibility in any lighting conditions. It’s Steering Wheel Remote Control Ready and Vehicle Display Interface Ready, for a perfect install in almost any vehicle. If your car is equipped with a start-stop engine, this Head Unit is even more interesting for you, since it will keep playing when your engine stops at a crossroad. Download the TuneIt smartphone app, then connect your iPhone via USB or Android based smartphone via Bluetooth. Now you’re ready to use your phone as a handy interface to achieve exactly the sound you want in your car. If you’re on Facebook, the app will also notify you of new messages on both your phone and the head unit. For more details, see the TuneIt App description in the Apps product category. How would you like to have access to thousands of Internet Radio stations while you drive? With this head unit and an iPhone, it’s easy. Go to the iTunes store, download the vTuner for Alpine iPhone app, connect your iPhone to the head unit, and start the app. Instant internet radio at your fingertips! You can search for stations various ways, including by country, city, local station and genre, with convenient control from either the head unit or the iPhone. Bluetooth® comes built in, so you can enjoy hands-free phone operation and a wide range of convenient functions for superior in-car phone use. These include the ability to hold and switch incoming calls, phonebook functions like auto updating and easy ABC search, and easier control of music search and playback functions. The CDE-178BT uses our best parts and technologies, such BassEngine Pro customisation features like Digital Time Correction, 9-Band Parametric EQ, factory EQ presets, crossover, a 24-Bit DAC and three 4 Volt PreOuts. The CDE-178BT provides a high speed USB connection to let you enjoy the functions of your iPod or iPhone. Along with superior sound quality and easy operation, you also get quick music search via song, artist, album, and other choices. Alpine’s high-resolution display is big and clear for high visibility. You’ll find that it’s easier of use and makes driving safer. It occupies a large area of the front panel, giving you sharply clear text and graphics. All of the menu and music information is easier to see, and best of all it stays clear whether it’s bright or dark in the car. Quad Illumination is a popular feature that lets you choose four colour schemes: red, green, blue or amber. When you select one, all of the buttons change colour. Match the colour of your dashboard illumination to give your cabin interior a nice unified look. Refer to the installation section for fitting instructions. To complete the installation of an aftermarket headunit (eg. Kenwood, Parrot ASTEROID, Alpine, Pioneer, Sony, JVC etc.) you will usually require additional fitting accessories. 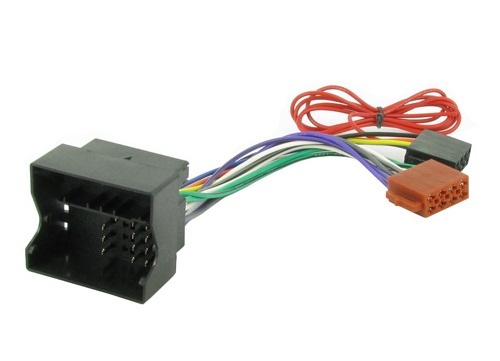 You may require a facia adapter - single DIN or double DIN, aerial adaptor, ISO stereo adapter or a stalk/steering wheel adaptor if you want to integrate your steering wheel buttons. 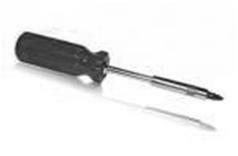 You can substitute the ISO stereo adapter lead for a steering wheel adapter, if one is available for your vehicle. 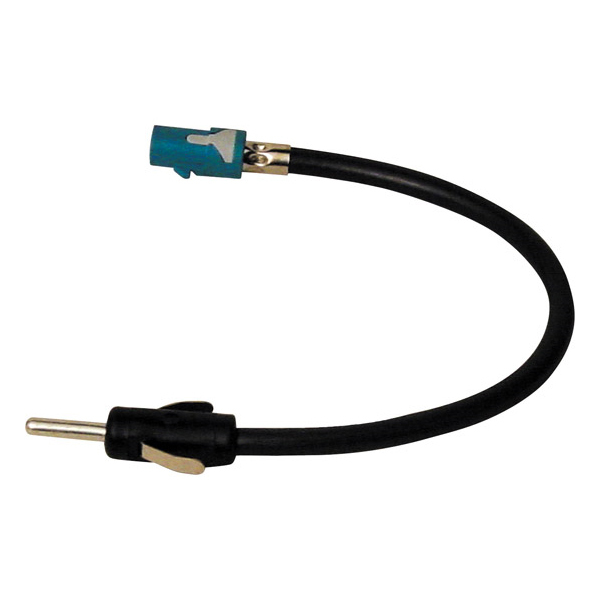 If you purchase our Connects2 steering wheel adapter you don't need to purchase an ISO stereo adapter lead as well. Refer to our car stereo fitting accessory section to purchase your car specific accesories. We stock the full range of stereo fitting parts, just ask if you need help. If you have any questions please contact us via the ask a question link at the top of this page and we will gladly assist you. Below is a quick explanation of different fitting accessories that you may require to install your aftermarket Alpine stereo. Enjoy the peace of mind that comes with a professional, risk-free installation service, by placing your trust in a certified installer. Car Communications are a certified installer. Alpine iDE-178BT Stay Connected with Facebook Updates on your Head Unit Alpine iDE-178BT - DIG..
Alpine INE-W987D 7-inch One Look Navi display: wide view for navigation, entertainment and safety..